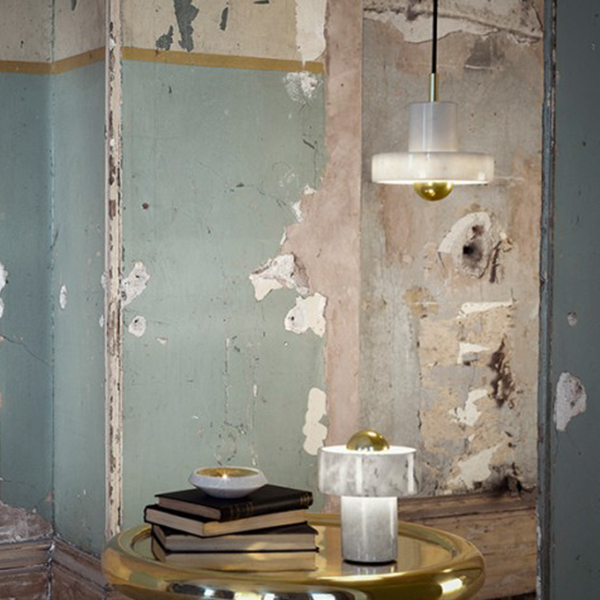 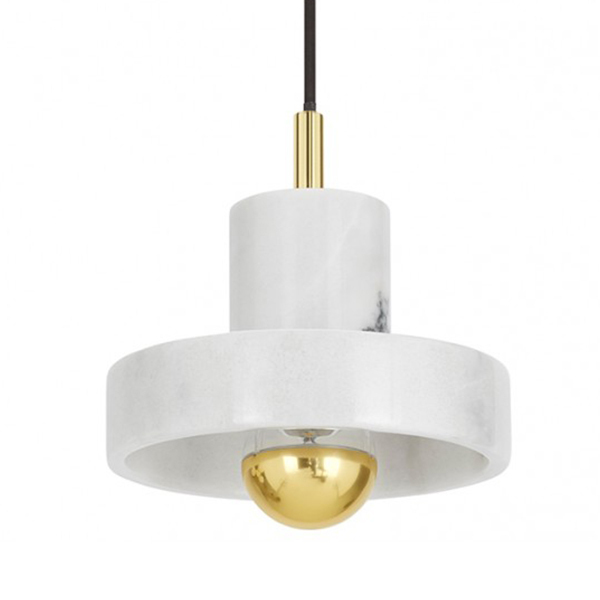 Tom Dixon’s Stone is a modern marble light that catches the eye with its timeless, elegant material and brass features. 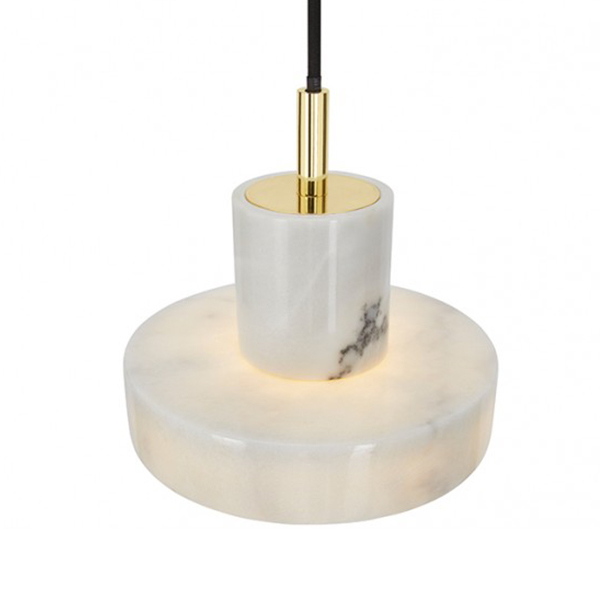 The light glows softly through the white marble, which features a unique, natural pattern in grey. 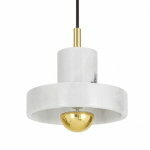 The Stone pendant light creates a pleasant ambience and functions as a beautiful detail both alone and in clusters. 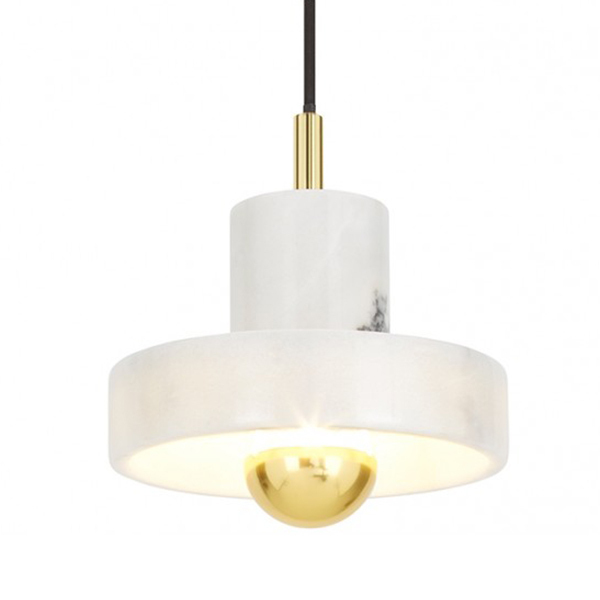 The diameter of the shade is 18 cm.